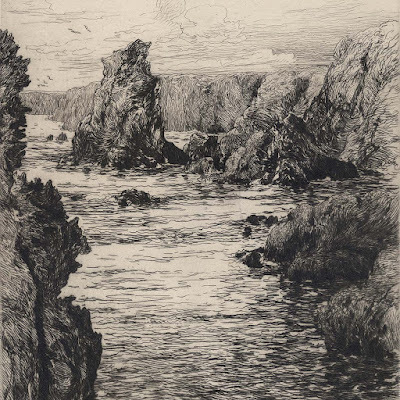 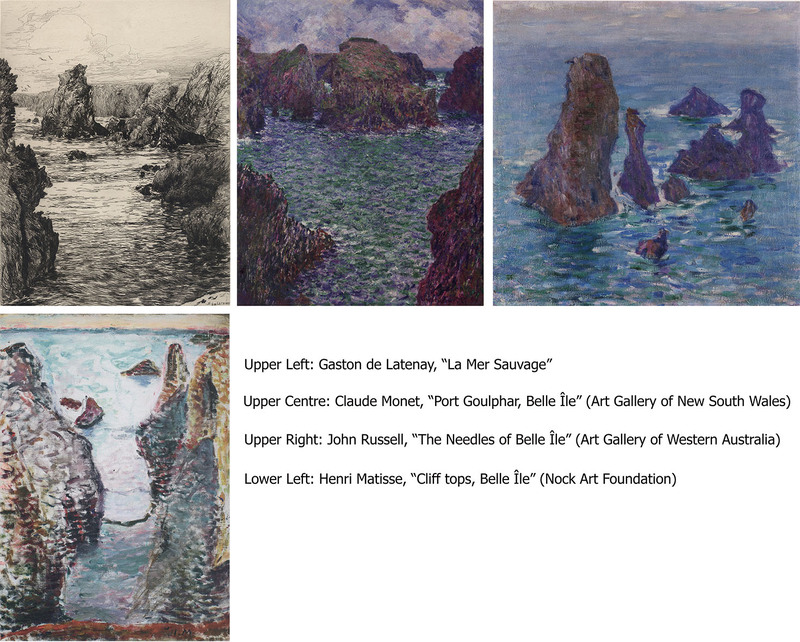 “La Mer Sauvage” (The wild sea) (aka “La côte rocheuse” [The rocky coast]), c1890 (see a very hesitant note about my attribution of this date below), hand-signed in pencil by the artist on the lower right in an edition of 50 impressions with an initialled inscription on the lower left. I believe that this impression is an artist’s proof before the editioned impressions as other copies of this print show the print number in the edition and the inscription at lower left (which I am unable to decipher) seems to be a note that the paper is old stock (“… papier ancien”). 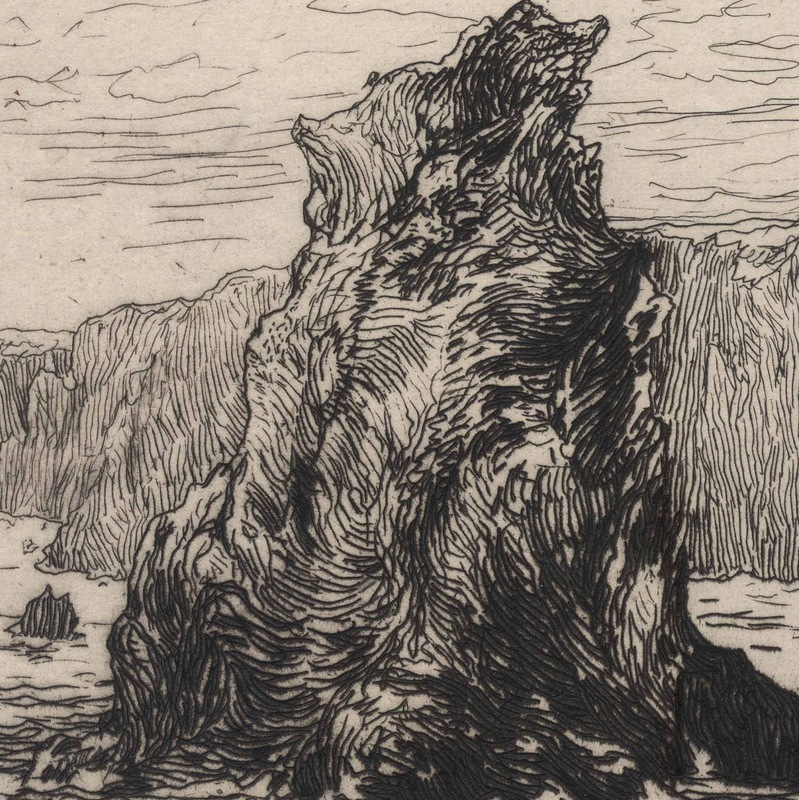 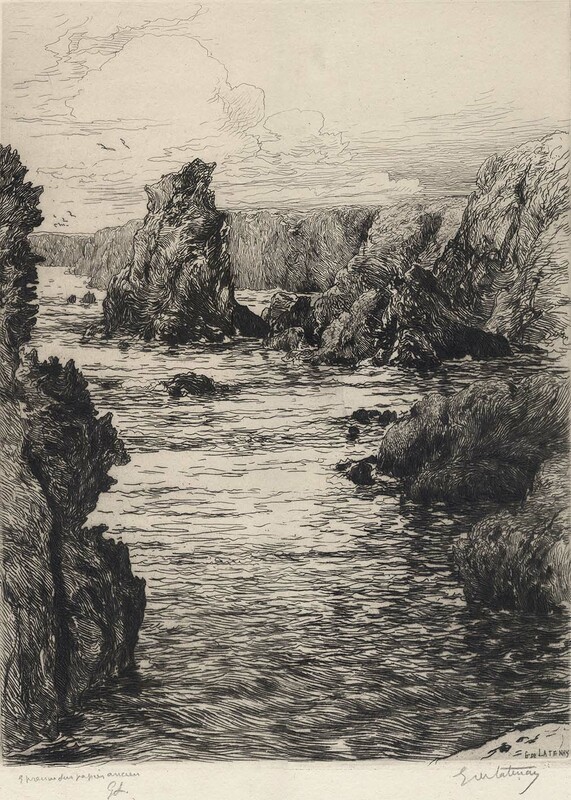 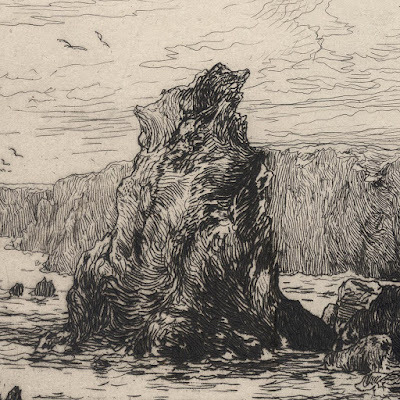 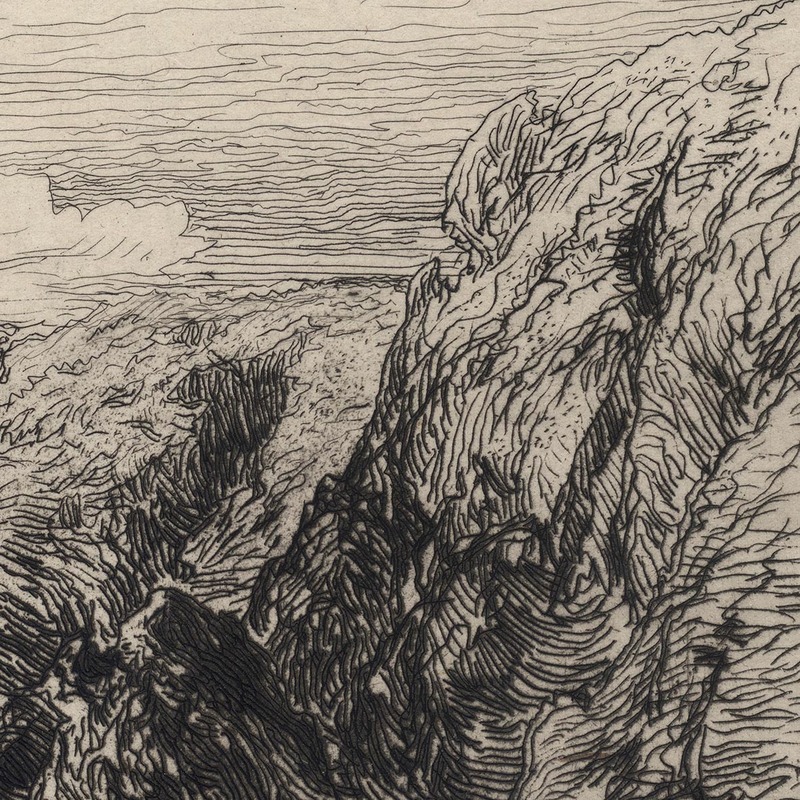 Note: I have been unable to establish the exact date of this etching but the artist was executing similar prints towards the end of the 1800s and (to my eyes) this print exemplifies the fascination at the time with the rugged coastline of Belle-Île—a French island off the coast of Brittany—that was shared by John Russell, Claude Monet and Henri Matisse. Although I have not been able to determine whether the artist had visited the island I can see similarity in rock formations portrayed by these luminaries with those shown in this scene. 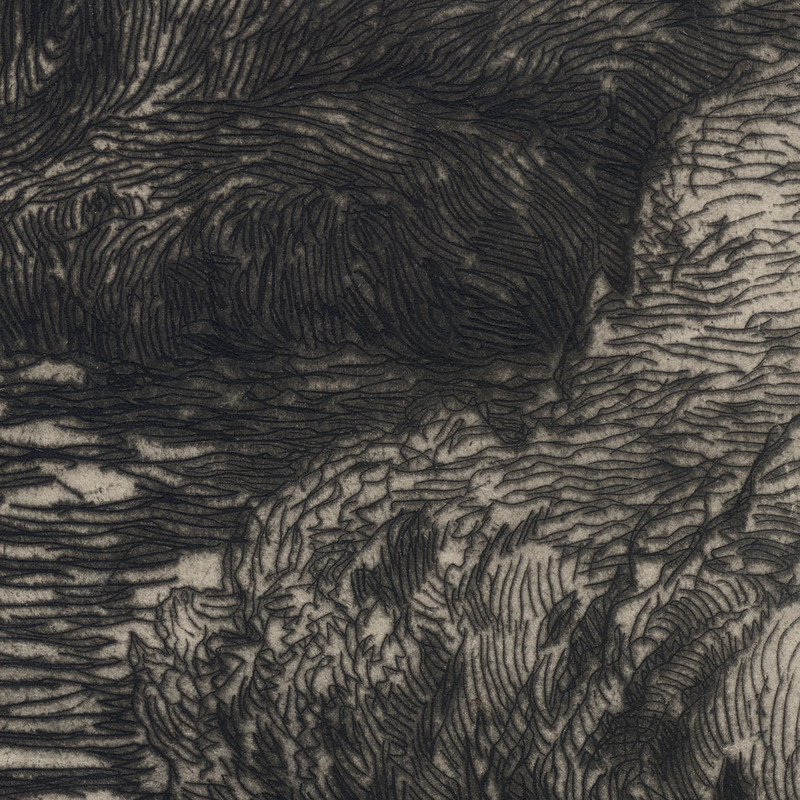 Etching and drypoint on fine ivory-coloured handmade paper (I am unable to see chainlines) with watermark, wide margins and backed with a support sheet. 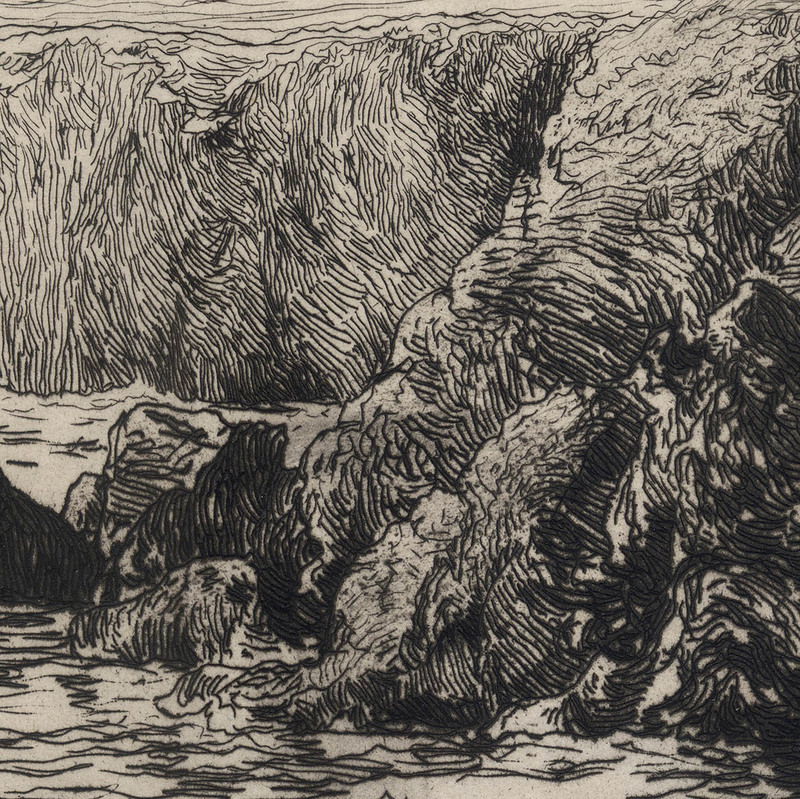 Condition: richly inked, near faultless impression with generous margins and signed in the plate and in pencil. 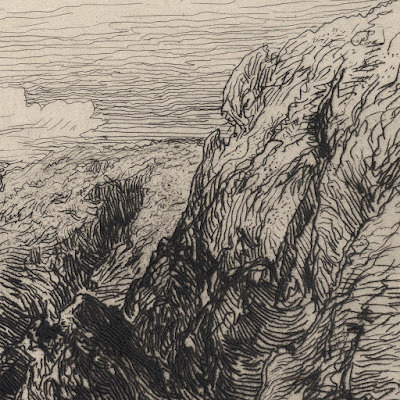 The sheet is backed with a support sheet and is in very good condition for its age (i.e. 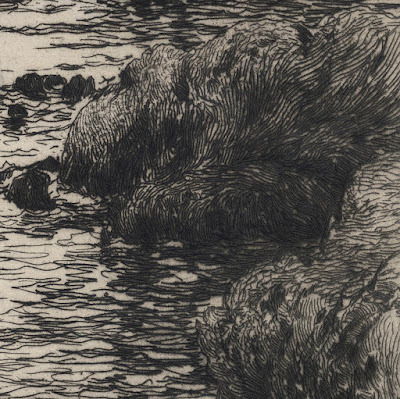 there are no tears, holes, abrasions, significant stains or foxing); nevertheless, the margins show minor signs of handling (i.e. marks and light folds). 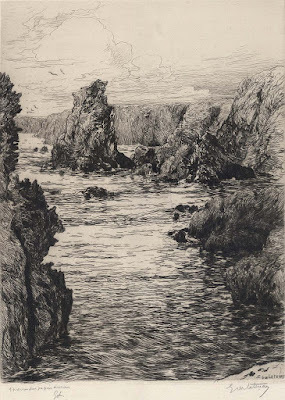 I am selling this large pencil-signed proof-state etching showing an equally grand vision of a rugged coastline with a churning wild sea, for AU$270 (currently US$194.54/EUR170.10/GBP151.46 at the time of this listing) including postage and handling to anywhere in the world (but not, of course, any import duties/taxes imposed by some countries). 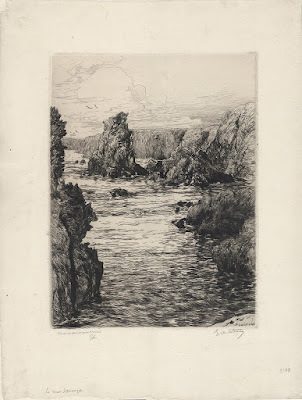 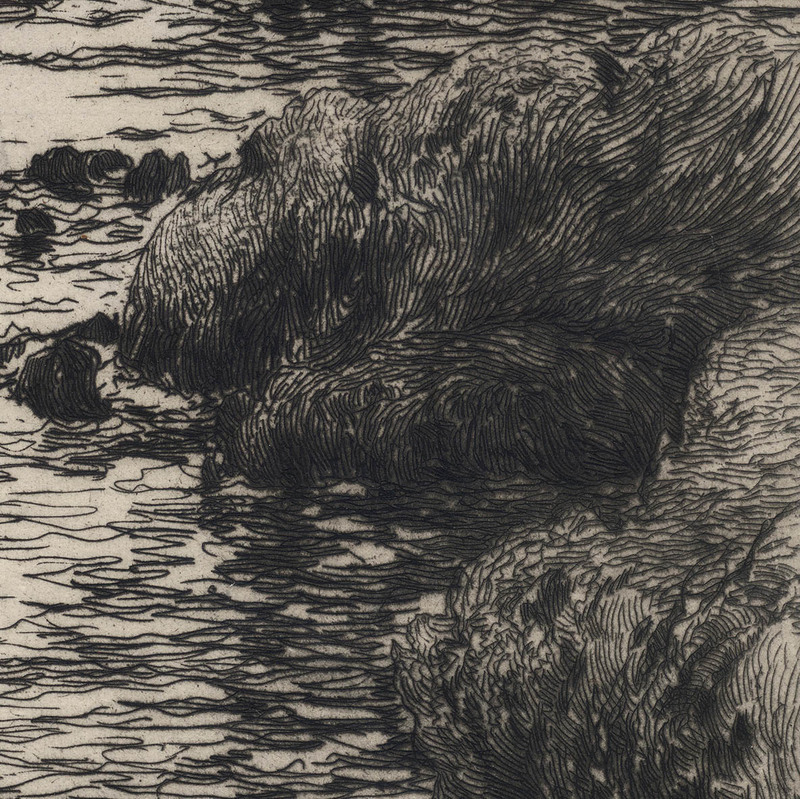 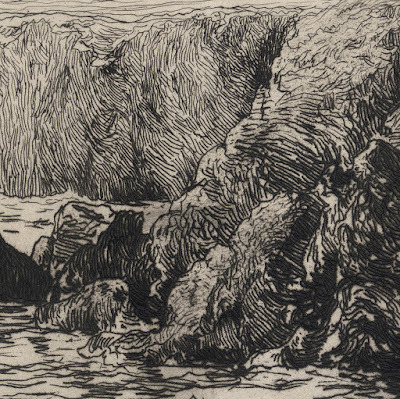 If you are interested in purchasing this visually arresting etching that has (to my eyes) clear connections with the Impressionist works of Claude Monet and John Russell when they worked together on Belle-Île, please contact me (oz_jim@printsandprinciples.com) and I will send you a PayPal invoice to make the payment easy.